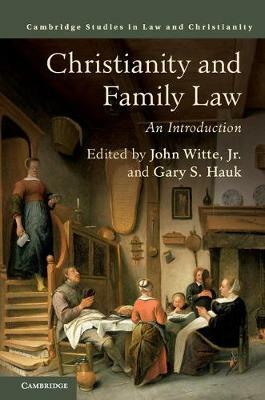 Author(s) Witte, Jr, John; Hauk, Gary S.
The Western tradition has always cherished the family as an essential foundation of a just and orderly society, and thus accorded it special legal and religious protection. Christianity embraced this teaching from the start, and many of the basics of Western family law were shaped by the Christian theologies of nature, sacrament, and covenant. This volume introduces readers to the enduring and evolving Christian norms and teachings on betrothals and weddings; marriage and divorce; women's and children's rights; marital property and inheritance; and human sexuality and intimate relationships. The chapters are authoritatively written but accessible to college and graduate students and scholars, as well as clergy and laity. While alert to the hot button issues of sexual liberty today, the contributing authors let the historical figures speak for themselves about what Christianity has and can contribute to the protection and guidance of our most intimate association.